Designing a good logo for a company is just the beginning. The power of a logo is not only based in its shape, its name or its colours. All of those things are important, it’s obvious, but a lonely logo is just a logo. There are a host of corporate weapons, that can be used to increase the value of your brand, your reputation, and what is more important: the price of your product. A valuated brand makes your clients ready to pay for the experience of your brand, for the lifestyle that your brand is offering to them. A logo is just a logo. The strength of a company image is built with the bricks of all the corporate identity elements. Mr Micawber, spiritual design guru. Once you’ve decided to spend a lot of your precious money entrusting a corporate designer to design your new brand, why don’t you make the most of it? The hardest work is by far the logo design process, however, once it’s done, it’s quite easy to develope a complete corporate brand strategy. 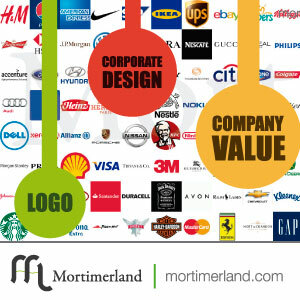 Corporate design companies are experts at brand value creation. Once you've decided to spend your precious money in a new logo, why don't you make the most of it?